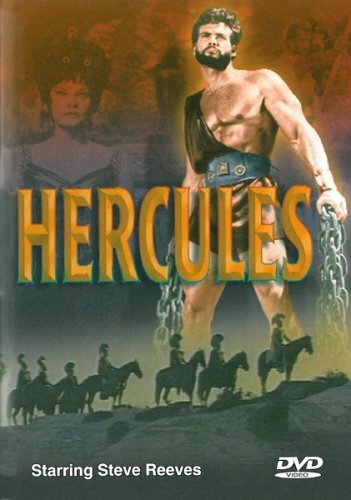 In 1957, Steve Reeves, a champion American bodybuilder and struggling actor, was hired to play the lead role in Hercules. The rest, as they say, is history. The film was to inspire countless imitations in the years that followed, and proved to be a turning point in Steve Reeves' career. His classically sculpted physique, rugged good looks and commanding presence combined to make him one of the most natural and dignified actors to ever assume the role. He became one of the highest paid and biggest box-office stars in the world due to this signature role in Hercules and its sequel, Hercules Unchained. Episodes: Hercules - In this mixture of characters and events from separate mythological stories, Hercules falls in love with a beautiful scantily clad Princess. Before he can win her, he must succeed in a series of quests laid down by her father. Hercules Unchained: In route to Thebes for an important diplomatic mission, Hercules drinks from a magic spring and loses his memory. He becomes a prisoner and has to compete in several grueling trials before he is freed. Extra Feature: Swords and Sandals! The success of Hercules and Hercules Unchained spawned a new action genre known as the sword-and-sandal epic. These delightfully quirky fantasy-adventures are typically set in the ancient world, and follow the exploits of the main character as he saves beautiful women or entire cities from danger. This collection of trailers from the genre highlights the films and the stars that made swords and sandals a hit.